Wow what a fun packed week of exciting activities! We had lots of 'England' themed activities going on in 3P this week. We looked at the palace of Westminister and Big Ben inside the tower. Sir Charles Barry's collaborative design uses Perpendicular Gothic style. We used a view finder to help us focus on the intricate detail. Individually we sketched using pencils. We really enjoyed being artists and concentrated very carefully! Murphy the English Bulldog came to visit. The English bulldog is a symbol of the United Kingdom because of its tenacity. It is a popular mascot for many sports teams around the world. 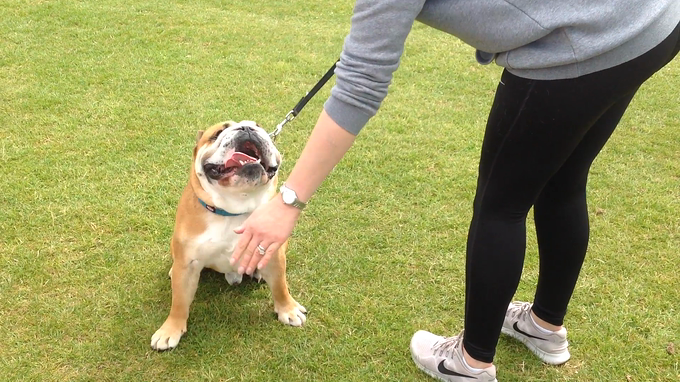 We enjoyed walking Murphy around the cricket pitch and asking him to 'give paw' we also asked Mrs Kennerley his owner lots of questions. We found out all about Wimbledon, we now know it is the oldest tennis tournament in the world and is widely regarded as the most prestigious. It has been held at the All England Club in Wimbledon, London, since 1877 and is played on outdoor grass courts. We then went onto the tennis courts and played tennis, great fun! All the children really enjoyed the Tea parties hosted in our classroom. We know that formal tea parties are often characterised by the use of prestige utensils, such as porcelain, bone china or silver. The tea is accompanied by a variety of foods that are easy to manage. We used vintage china crockery, made cucumber sandwiches and decorated biscuits with red, white and blue icing. On Monday 3P went into the hall to take part in Martial Arts. They experienced several self defence moves and played games it was really enjoyable! On Monday afternoon we went outside onto the cricket pitch to get involved in various Crossfit Kids activities. Some were quite strenuous but we perservered and worked as a team. 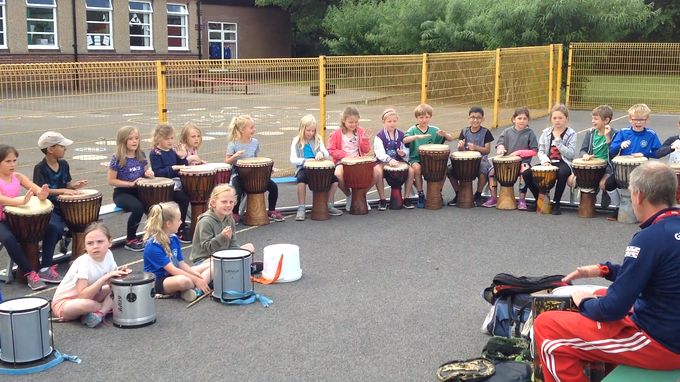 We loved taking part in the drumming session on the playground. We were split into groups and each had different rhythms to play. What a fabulous collaboration of sounds!